Jim Baggott tells the monumental history of the race to build humankind's most destructive weapon, and the stories of the scientists involved. Re-issued in 2015. In August 2015 it will be 70 years since the atomic bombing of the Japanese cities of Hirsohima and Nagasaki. Atomic will be re-issued by Icon Books in July with a new cover and a foreword by Jeremy Bernstein. Rich in personality, action, confrontation and deception, Atomic is the first fully realized popular account of the race between Nazi Germany, Britain, America and the Soviet Union to build atomic weapons. These were weapons that ended the Second World War and framed the early Cold War between the superpowers. The book draws on declassified material such as MI6’s Farm Hall transcripts, coded Soviet messages cracked by American cryptographers in the Venona project and interpretations by Russian scholars of documents from the Soviet archives. 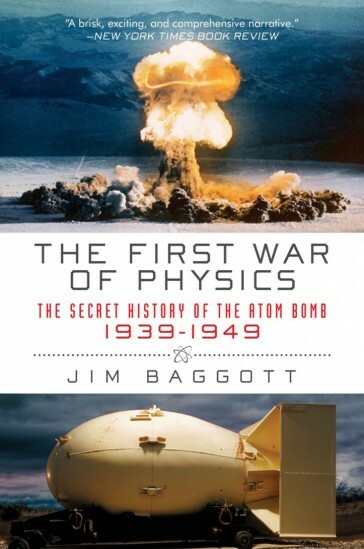 Jim Baggott weaves these threads into a monumental book that spans ten historic years, from the discovery of nuclear fission in 1939 to ‘Joe-1’, the first Soviet atomic bomb test in August 1949. It includes dramatic episodes such as the sabotage of the Vemork heavy water plant by Norwegian commandos and the infamous meeting between Niels Bohr and Werner Heisenberg, the subject of Michael Frayn’s stage play Copenhagen. Atomic was Shortlisted for the Duke of Westminster Medal for Military Literature. Atomic provides a popular but informed and compelling account of the international competition to produce atomic weapons. Baggott’s book is rare in giving details not just of the successful Anglo-Canadian-American effort at Los Alamos, but the competing efforts in Germany, Japan and the USSR, culminating with the explosion of Joe-1 (the first Soviet bomb) in 1949, together with the complex web of espionage which connected them all. This 576-page history provides an excellent introduction to a vast and complicated topic. By examining the competition among America, Russia and Germany, it knits together developments on different sides of the Atlantic into a brisk, exciting and comprehensive narrative. 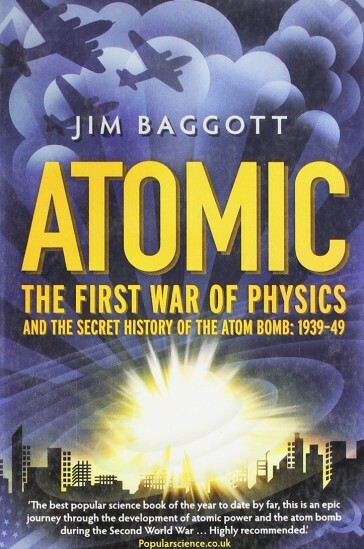 Jim Baggott’s clear, elegant prose never falters, whether unveiling the scientists and spies who raced to unlock the secrets of the atom bomb, or describing the sub-atomic particles which drove the physicists on to what J Robert Oppenheimer later called ‘sin’. The author does an excellent job both of describing the various parallel national programmes and of integrating the scientific, technical, political, strategic, special operations and espionage elements on the larger international stage. His account is dramatic, pacey and engaging, and manages to convey a rich sense both of the various personalities involved and of the larger forces that shaped the events. Vividly written and impressively researched, Atomic covers the efforts of scientists and spies in the United States, Britain, the USSR and Nazi Germany to develop their own atomic weapon. Drawing on material including declassified British secret-service transcripts and documents from Soviet archives, this is a thorough but engaging account of the race to build the atomic bomb. I read everything on the subject that I could lay my hands on, but I never read such a good, comprehensive account as Jim Baggott’s. 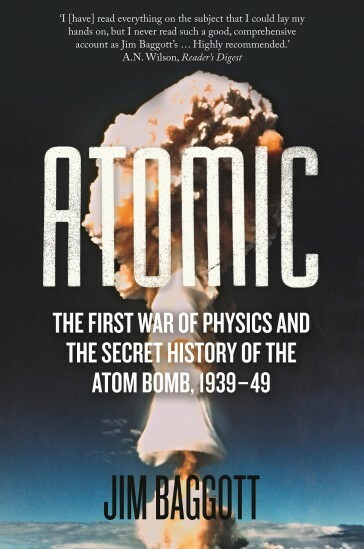 The best popular science book of the year to date by far (April 2009), this is an epic journey through the development of atomic power and the atom bomb during the second world war.